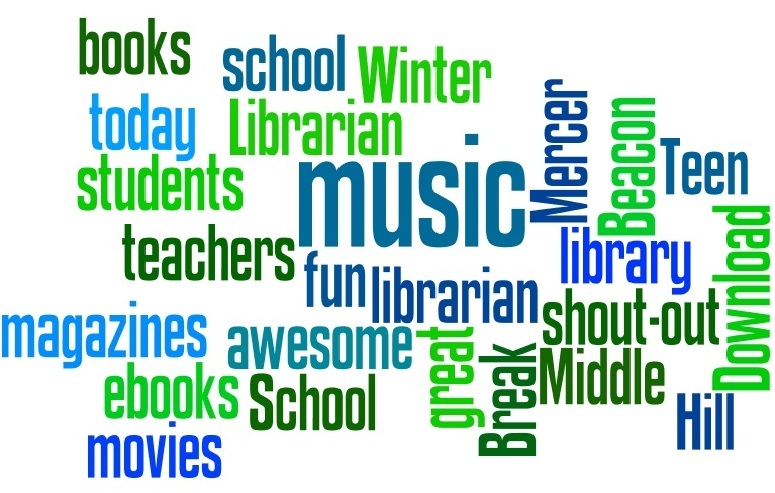 We want to send a shout out to all the students, teachers, and the awesome school librarian at Mercer Middle School! Today Wendy, the Teen Services Librarian from the Beacon Hill library, is visiting your school. If you’re looking for something fun to do over Winter Break, come to the library for these great books. And don’t forget we also have movies and music! Can’t make it to the library? Download music, ebooks and magazines. What are YOU going to read/listen to/watch over Winter Break? This entry was posted in Book Lists, Community, Libraries, Library Links, Movies, Music, School News and tagged Librarian, schools on December 18, 2013 by pushtotalkteens.